So it's the holiday season, and I'm finally home, which means that I'm not going to be far from my baking. While all of my blogosphere peers are busy cooking and baking up a whole holiday storm, I must limit myself to a few choice items to make, as not only is my family small (not enough people eating it means I'm eating too much of it! ), but my time here is limited too. I was browsing around when the most enticing photograph of madeleines came across my screen and I decided that I must venture forth and make these pretty little French seashell-shaped cookie/cakes. The prep work that went into researching and getting ingredients for this recipe was a bit more than usual, but it wasn't really a tough recipe to execute by any means. The most important things I needed were madeleine pans (they have little seashell shaped molds on them… see below), coconut cream, and green tea matcha powder. I guess by now you must have guessed the three varieties of madeleines I attempted… original, coconut, and green tea flavored. Ah, but I have yet another trick up my sleeve… lemon glaze! :) These were really some amazing cookies, crunchy on the outside, soft and tender on the inside, and full of wonderful aroma and flavor. Best enjoyed fresh and still warm, they would be perfect with a cup of coffee or tea, any time of day. Enjoy! – For coconut madeleines: 3 tbsp coconut cream (the solid white kind, not the sugary translucent one), 3 tbsp shredded coconut. 2. 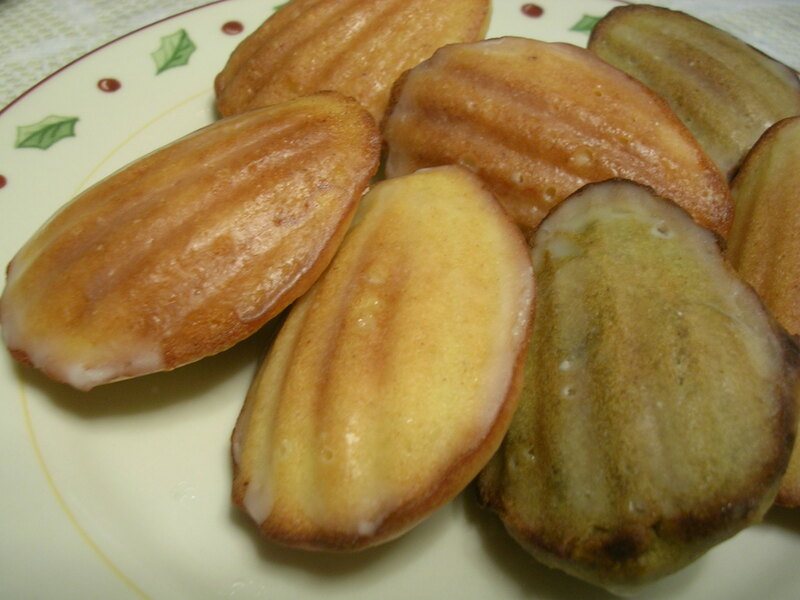 Sift together flour, salt, baking powder, and coconut flakes or matcha powder if making flavored madeleines. 3. 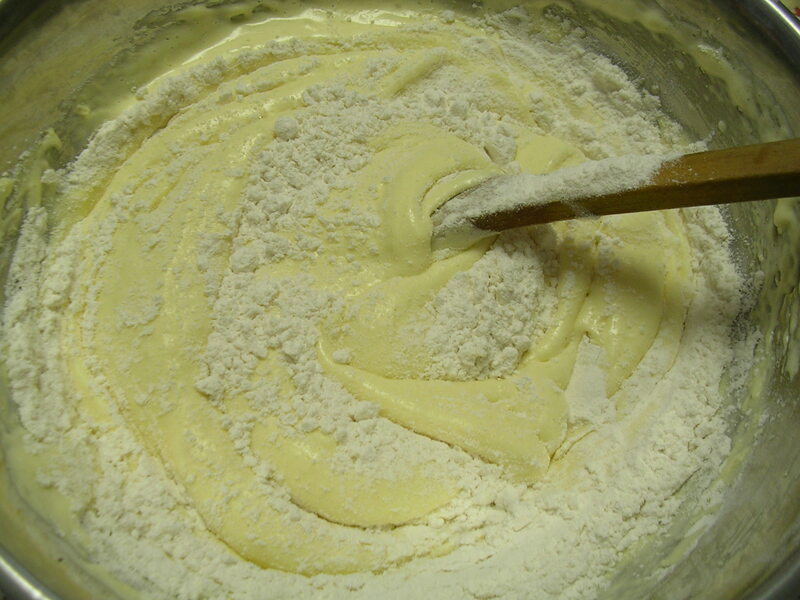 With an electric mixer, beat together eggs and sugar on medium-high speed, until the mixture becomes pale and frothy and triples in volume (about 5 minutes). When you lift the beaters thick ribbons will fall from them and sit on top of the mixture for several seconds before disappearing. 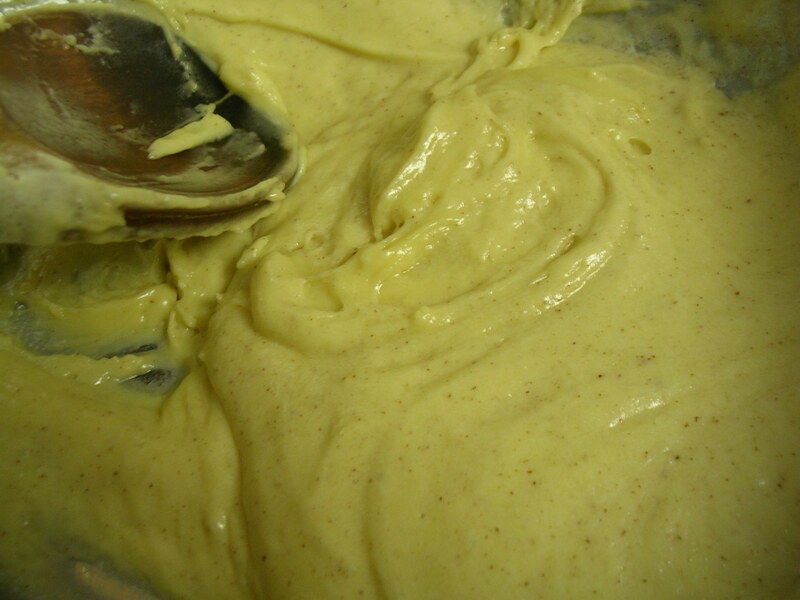 Add in vanilla and almond extracts, and beat on medium just to combine with egg mixture. 4. 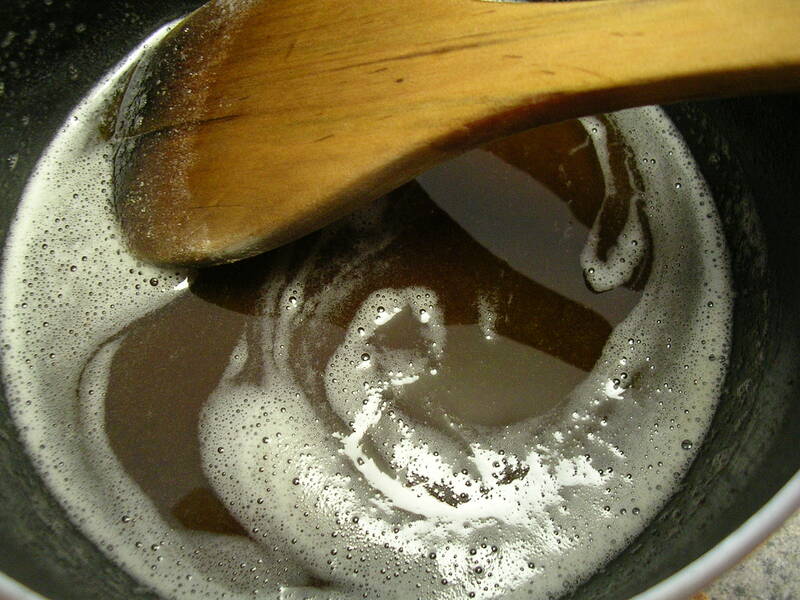 Add a small amount of the flour mixture into the beaten eggs, and fold in gently with a wooden spoon. Add the remaining flour in 3 batches, folding in each time just until incorporated. Do not over-work the batter or the madeleines will become tough. 5. 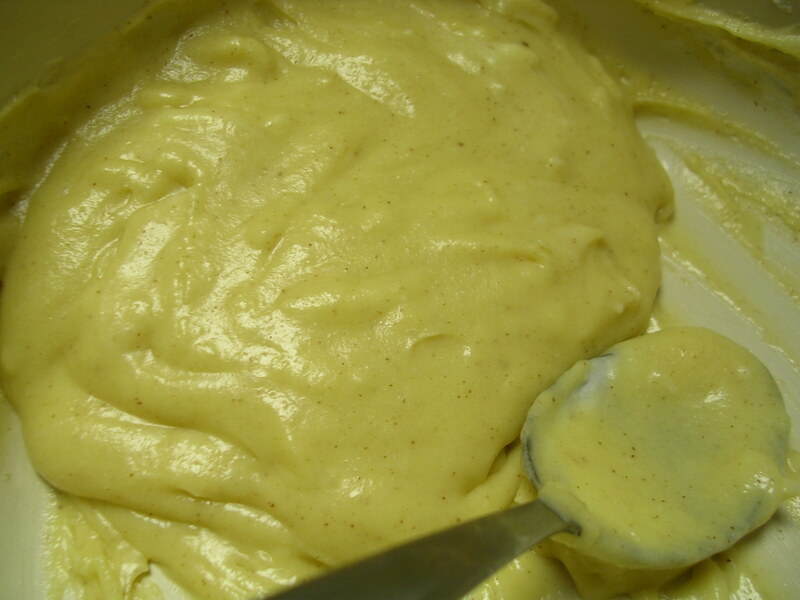 Now stir a little bit of the batter into the cooled brown butter, then add the butter into the batter in 3 batches. Again stir just until incorporated. 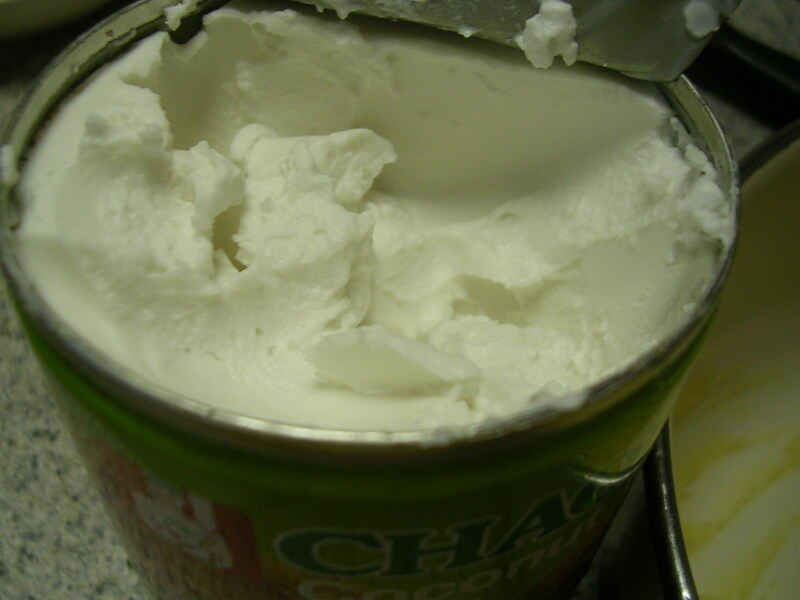 (At this point, you may add the coconut cream and stir in until evenly distributed if desired.) Pictured below are regular, green tea, and coconut madeleine batter, respectively. 6. 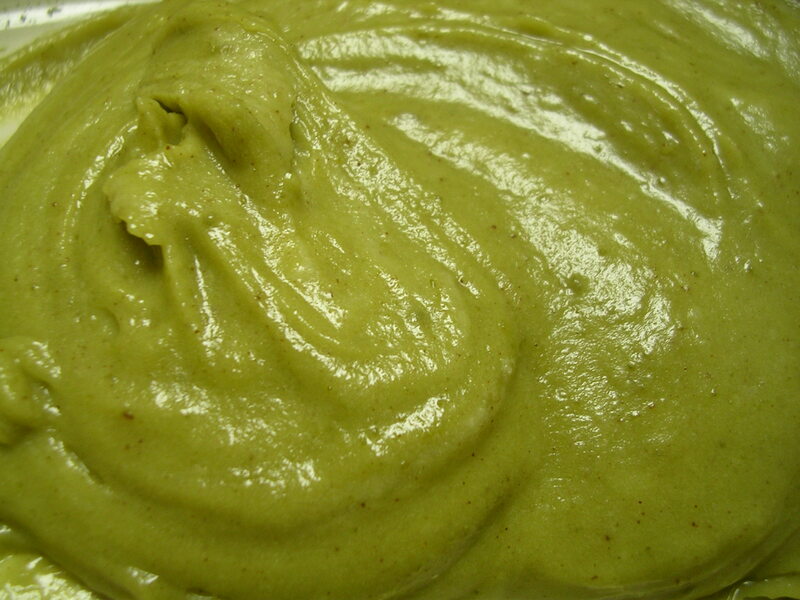 Cover and refrigerate batter for at least 30 minutes (up to 12 hours). 7. Preheat oven to 375 degrees F. Grease two 12-mold madeleine pans with butter and dust with flour, or spray molds with cooking spray, or simply use non-stick pans. (I bought non-stick pans, but I also sprayed on some butter-flavored cooking spray). 8. 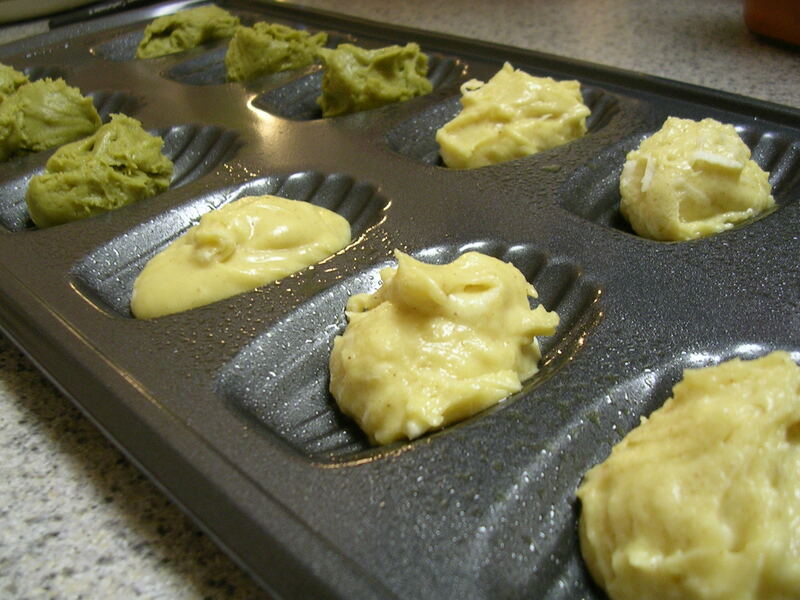 Remove batter from refrigerator and drop by tablespoonfuls into the center of each mold. 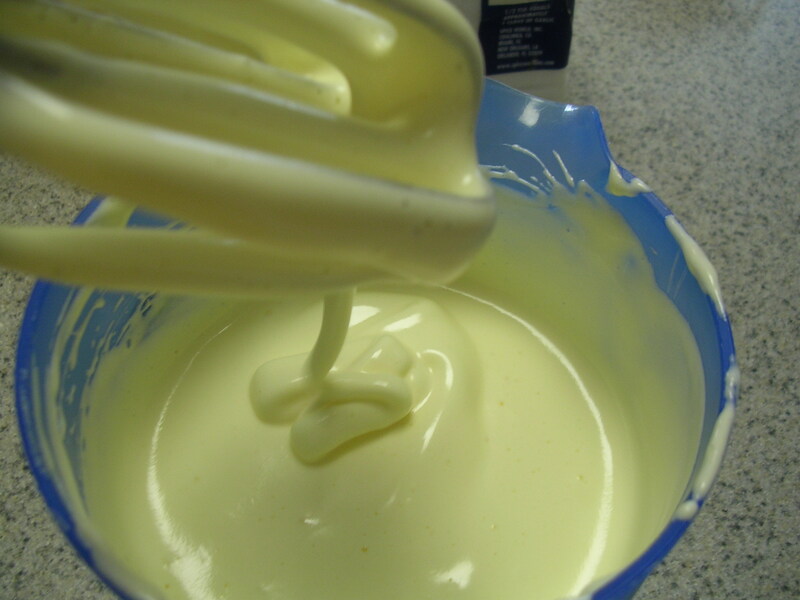 Do not spread the batter out to fill the molds, just leave it mounded in the centers and it will spread out on its own. 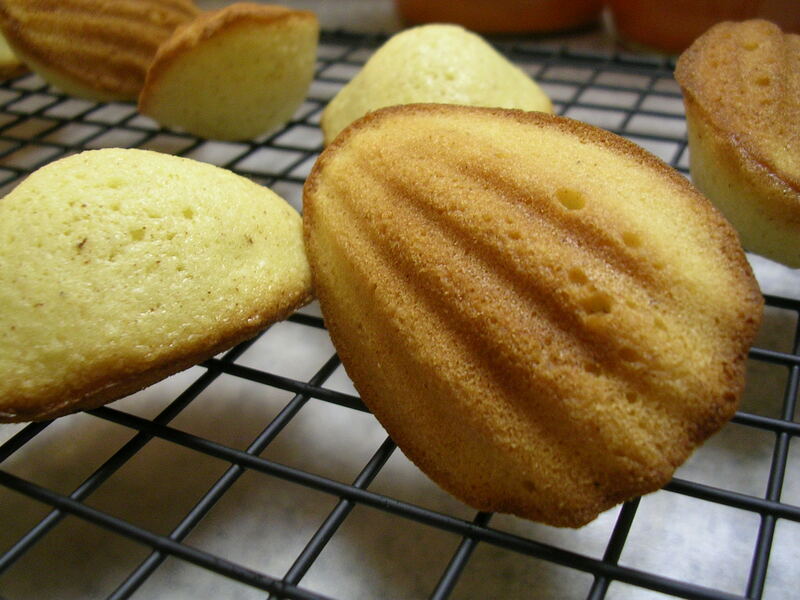 In doing so, you are also able to create the classic "hump" on the backs of the madeleines that make them so unique. 9. Bake for 10-15 minutes until the sides start to turn golden brown and just begin to pull away from the sides, or when the tops spring back to the touch. I was able to just tilt my pan and watch all the beauties slip out onto my cooling rack. If you didn't use non-stick, try rapping the baking sheet against the counter to loosen the madeleines. Personally, I thought the coconut madeleines came out the best. They were very fragrant and tender, with the pieces of flaked coconut tucked inside for a little extra texture. The green tea madeleines tasted great, with that wonderful matcha green tea flavor that many Japanese desserts tend to have (I'm glad my powder gave me a good result, it was only $5! ), the only thing is that they don't look so great. 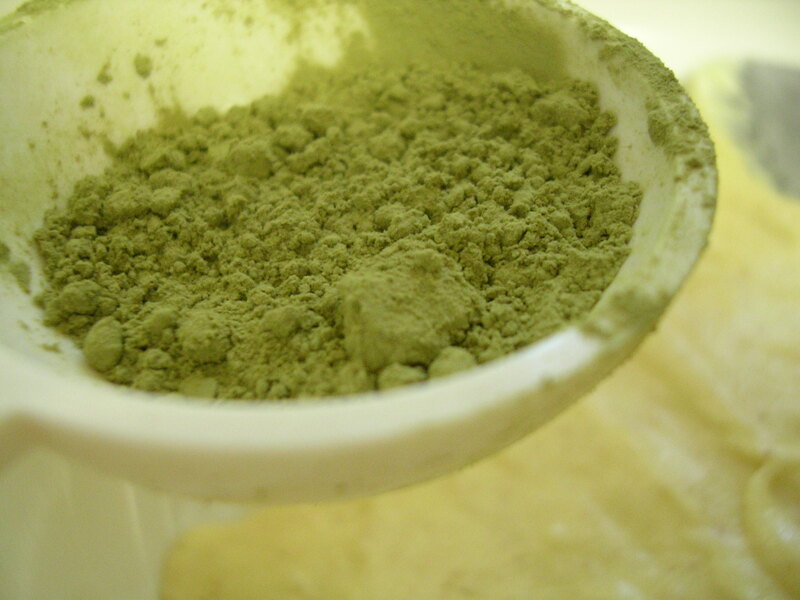 The batter is green, but since the cookies tend to brown naturally, the brownish-green color of the final product (see 1st picture up at the top) is a bit off-putting. Short of using green food coloring or undercooking the madeleines, it's probably hard to get nice emerald green cookies. That said, they can probably be generously dusted with confectioner's sugar to hide the color. The flavor was robust, and I thought that it didn't overpower the original flavor of the madeleine, nor did it disappear from the cookie. Finally, the original flavor was of course quite wonderful as well, though it definitely needed the glaze to give it an extra push. The hint of lemon and the added sweetness of the glaze gave is a wonderful finish with every bite. Of course, in anticipation of the glazing, I did reduce the sugar in the original recipe from 2/3 cup to 1/2 cup. 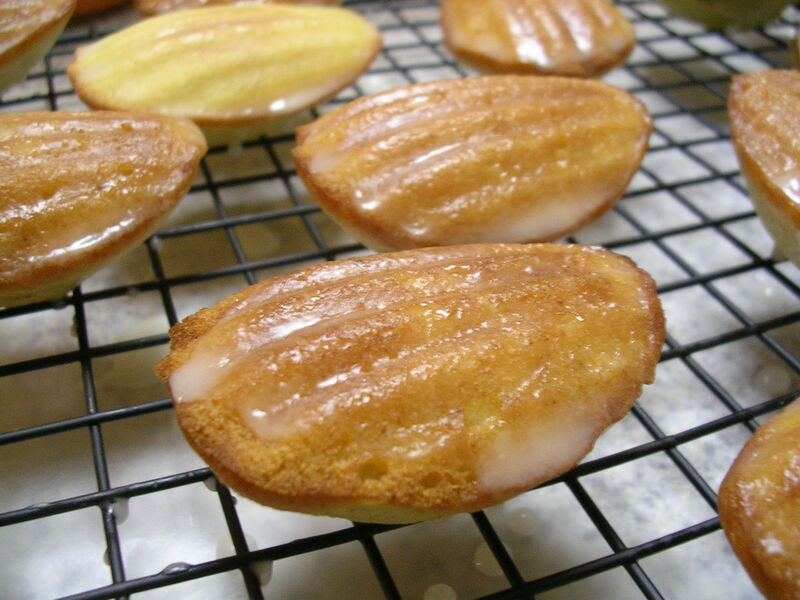 Thus, if you are just making unglazed madeleines, make sure you use the full amount of sugar to get enough sweetness. These are best eaten the day they're made, otherwise they will lose some of their wonderful crispiness. Of course, by the second day, they're also fantastic for dunking in coffee or tea :) I'm planning to make a batch of coconut and green tea madeleines to bring to a Christmas dinner party tomorrow. I hope everyone else will love them as much as I do! This entry was posted on Tuesday, December 25th, 2007 at 3:11 am	and posted in baking, desserts, French, recipes, Uncategorized. You can follow any responses to this entry through the RSS 2.0 feed.